Our customers often ask us „which Stroller is the best?" 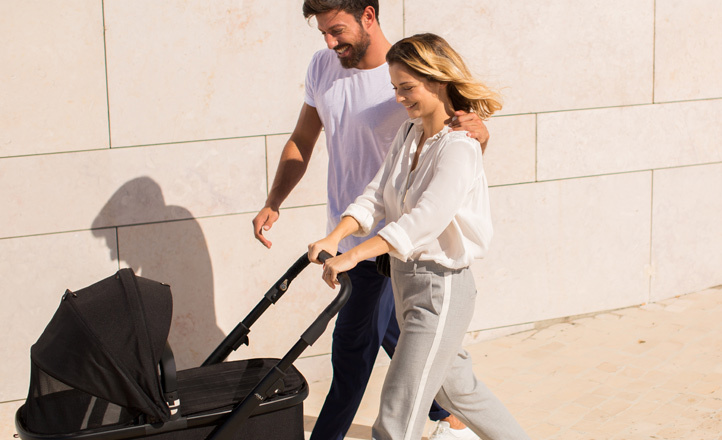 And our answer is always „the best Stroller depends on your family’s specific needs – how can we help meet your needs? Should it fit into a small elevator? Will it endure cobblestone streets or glide through the city center? Is it light enough to easily take in the streetcar or lift into a car/taxi trunk? We look forward to finding out with you what suits your family best. Come visit our upstairs showroom for a spontaneous test drive. Send us your preferred appointment to mail@herrundfrauklein.com. We look forward to seeing you!